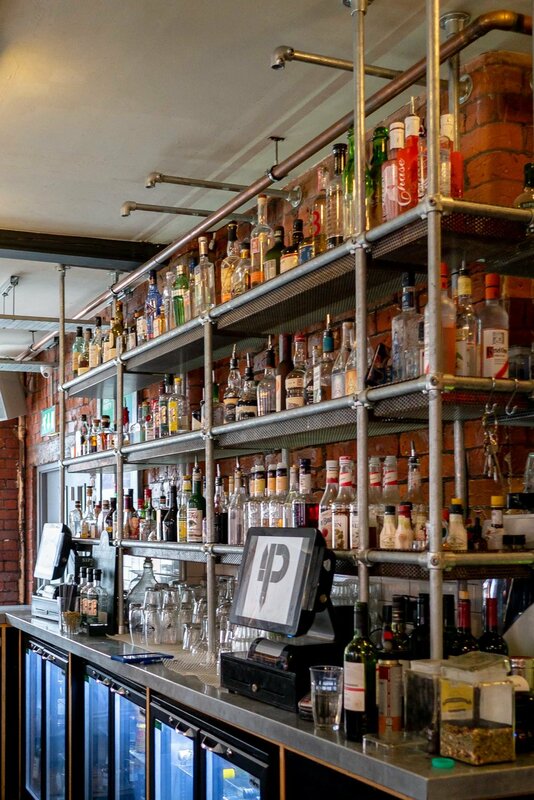 Tucked right at the back of the Northern Quarter in Manchester, far beyond Home Sweet Home, Luck Lust Liqour & Burn and even further back than Ply & Patron, just around the corner from Takk is Pen and Pencil. A small, unassuming bar dishing out its own variety of incredibly tasty food. 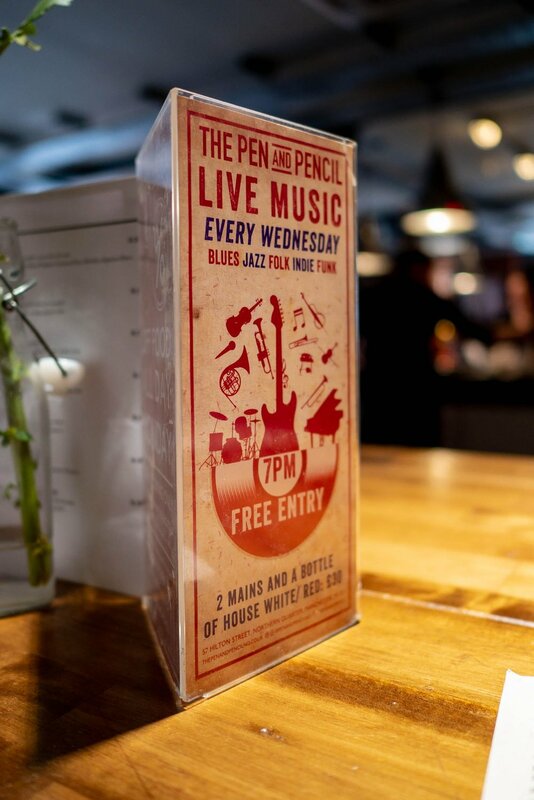 Head there on a Wednesday and stack that food up with a bottle of wine and live music for 2, all for £30 and you’re onto a mid week winner! Until recently neither of us had ever stepped foot in Pen and Pencil, so when we visited recently to find the likes of grilled octopus on the menu we were pleasantly surprised and obviously very excited since well cooked octopus is our fave! Clearly we jumped at the chance to sample our beloved delicacy and it did not disappoint. 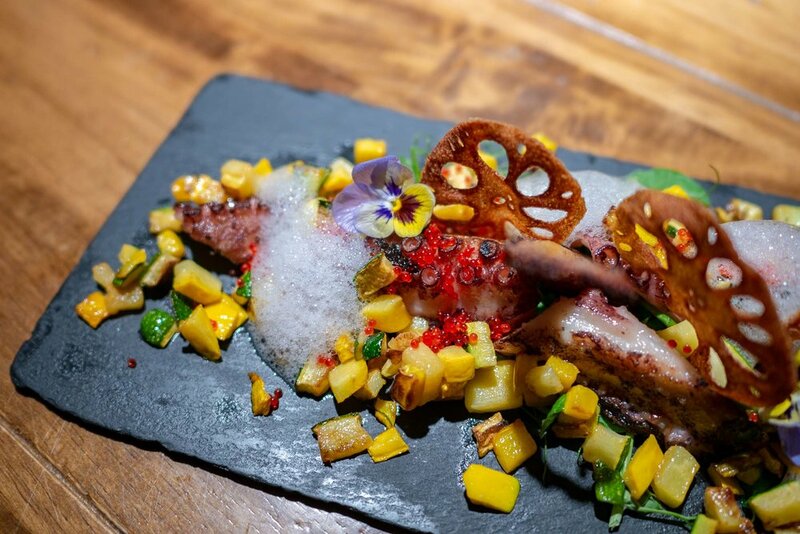 It’s served up with a variety of courgettes, lotus root, wasabi foam and red tobiko it’s a dish that delights the eyes as well as the tummy, we’d argue that it’s the prettiest dish we’ve spied in the Northern Quarter. We also chanced upon the Deep Fried Lamb Chops, a dish that was as equally as tasty (but not as easy to photograph! 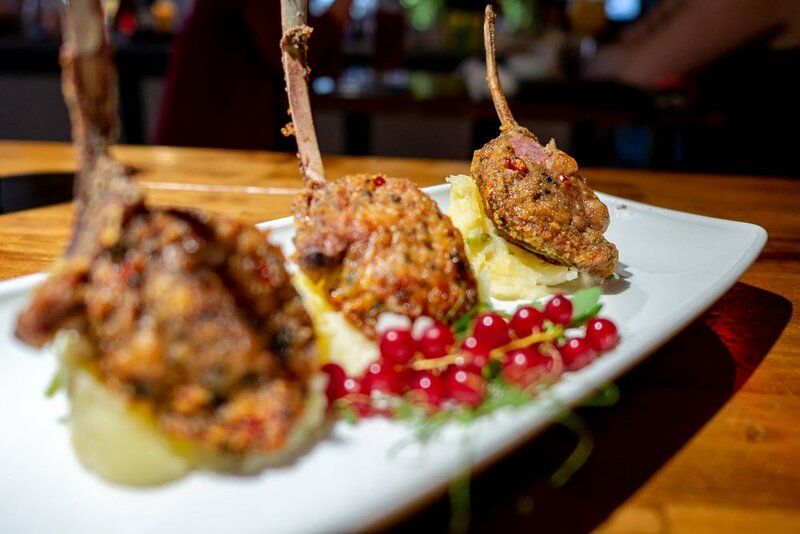 ), consisting of 3 lamb chops, mashed potato with spring onion, red wine gravy and redcurrants. The food really is a welcome surprise and not at all what you’d expect to be served up in this cosy renovated old industrial building. We’ve already spotted that on the last Saturday of every month they hold an all-inclusive free-flowing brunch where you eat and drink until your hearts content for just £40 a person, so we’re sure we’ll be back for that!